For over 20 years, ShoWorks has served entry offices and exhibitors by processing entries both online and on fairgrounds across the US and Canada. During this time, computing for fairs has evolved from a tool for only a few tech-minded operators to wide base of casual end-users including managers and CFEs, volunteers, judges, superintendents, exhibitors, club and school leaders. Security, user-friendliness, flexibility and scalability, Internet and mobile integration and back-office compatibility are just a few of the demands prompting a change in the way we look at entry software. In 1994, GladStone Inc. entered the scene with ShoWorks 1.0 - the first commercial fair program dedicated to the Windows environment with Online Entries following just three years later. Today, ShoWorks continues to lead the industry with innovations such full integration with Microsoft Office (Excel, Access, Word), online multi-media uploading and judging, publishing judging results to Facebook and Twitter, and checking-in and judging entries via the iPad. It's these qualities and superior service that sets ShoWorks in a class of its own. 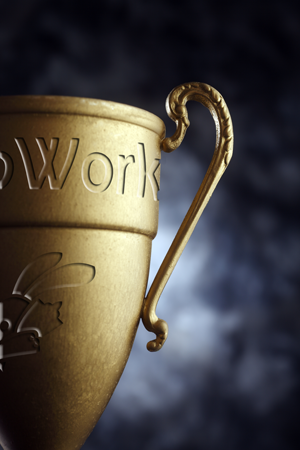 The success of ShoWorks is highlighted by a substantial following of praise from the fair community. With over 1,000 fairs in the US currently running ShoWorks, there is no doubt that it has become the application of choice for fairs across the nation. In fact, ShoWorks is used by more of the top 50 fairs in the nation than any other system. Different fairs have different needs when it comes to which fields of data must be tracked for exhibitors and their entries. This has been solved in two ways — lots of user defined fields (71 to be exact) and customizable screens — allowing fairs to define not only what data to track and process, but how this data can be input into the system by dropping these customized fields onto any screen at any location. ShoWorks can also take advantage of today's larger monitors, allowing the user to stretch menus to view more data. More screen real-estate translates to more efficiency by allowing users to work in the program without having to flip amongst different menus. A couple of examples illustrate this point: New "Hybrid" menus enable viewing of not only individual records in the traditional menu style, but as a spreadsheet type list on the bottom portion of the screen that has all records for fast and easy management. Furthermore, entries can now be added and edited directly in the exhibitors menu for each exhibitor without having to exit to another menu. And when one does need to go to another menu, the new "tabbing" of menus means the ability to keep all menus open and move back and forth to different data areas without losing their place. Record navigation and searching has also been refined to a simple tree control to allow for quick drill-down "go to" record ability. To make finding records easier and faster, "intelligent searching" has been implemented, allowing the user to type in a generic search box with the narrowing down of possible results as they type, looking in every field. The goal in all of these features is to reduce the number of clicks a user has to make — translating to less "thinking" for the user and an easier understanding on how to use the software. The bottom line is efficiency in the fair office. Included with ShoWorks are plenty of preset or "canned" reports that are common among most fairs. Examples are invoices, mailing labels, graphical performance charts and graphs, summaries and more. In addition to preset reports, most fairs require reports that are highly specific to its individual needs. Instead of using report templates which are often limiting, the Custom Report Writer walks the user through a step-by-step process to create their own reports that present the data exactly the way he/she visualizes it. Most do not know that for years, the custom report wizard developed originally for ShoWorks has made a successful second career being sold globally to firms like Exxon-Mobil, the Federal Aviation Administration, Motorola and even picked up and marketed by Microsoft. The first feelings the user may experience when they use ShoWorks is somewhere along the lines of "Wow, that was easy!". Beginners will love ShoWorks, as there are plenty of "Wizards" to help them to get data into the program trouble-free. A great deal of effort has been put into providing these wizards that perform mundane tasks in seconds. An import and merge wizard helps migrate data among many users when a network may not be practical. A division update wizard guides the user through an almost unlimited number of ways setting up and maintaining departments, divisions and classes. A host of other wizards include those for breaking classes, adjusting checks, renumbering records, setting sale orders, adjusting the sale and billing, and the list goes on. There's even a financial trouble shooter wizard to search the entire data file for possible data entry errors that may be problematic to the fair. Having exhibitors register and enter their entries online for both cost savings and convenience has become a common staple of the entry office. What was once a mere time-saving device to substitute for the long-hour, mundane job of recording paper entries, is now a critical "expense killer" and better yet, "profit maker" vital to the survival of the fair. Though ShoWorks has integrated online entries since 1998, the Internet, and its users, have grown much more complex and demanding since then. Literally millions of entries (and hence exhibitors) pour in across hundreds of fairs in their online registration, and one is missing the boat if they are not capitalizing on this traffic and attention. Online advertisements have shifted to online sponsorships, targeting a visitor by the type of entry they are exhibiting. This unconventional form of sponsorship allows the fair to seek out, for example, a local camera shop who would otherwise not be a candidate for sponsorship, to place their ad directly on the virtual entry form of all photography exhibitors. The new ShoWorks takes this online asset a step further. Surveys can now be ran at the end of the online "shopping" of entries for the exhibitors, allowing the fair to ask questions ranging from their preference on fair dates or events, to feedback on their fair experience. What once took weeks of sorting through paper surveys that, at best, saw lukewarm participation, is now an instantaneous measurement tool that is provided by practically all fairgoers — giving fair management an accurate and comprehensive picture of their patrons' outlook towards their fair. Some are just now recognizing that the new generation of exhibitors are affectionate towards digital entries, which take the form of photography, videos, and music – all made popular by the accessibility of today’s camera phones and personal devices. In order for fairs to survive the transition of today’s interest from traditional exhibits to the ever growing multimedia trend, online photo and digital media uploading as well as judging is a natural progression into a partnership with the Internet. With native integration of Fair Judge™, fairs can now invite more of these trendy exhibits and even stream the winning photos via a slide show from their own website or live throughout the fairgrounds – generating more buzz for next year’s participation. Those with a keen eye on trends may recognize this shift to mobile devices – tablet computing ala the iPad. It’s been less than two years since the release of the now well-known, iPad – the first “practical” tablet computer produced by Apple. Since then, the floodgates for tablets have opened with an adoption rate doubling every six months. In just over one year, almost 1 in 10 adults in the nation purchased a tablet, with Apple’s iPad making up the majority of these. While this number may seem small, consider the same adoption rate for the Personal Computer which took almost 10 years to achieve. And the age of the tablet has only begun! So just how does ShoWorks integrate with the tablet? Imagine virtual judging sheets where a single swipe of the finger can drag ribbons or place values onto entries, or even rearrange the order of entries to match the judge’s opinion on the relative quality of entries. Livestock superintendents can also take advantage of the tablet by remotely updating weights at check-in. Best yet, an Internet connection is not required except when syncing the tablet to the desktop. As always, digital scales that generate their own files to update ShoWorks are still supported via the new and improved spreadsheet wizard with multi-column support, in addition to the old familiar keyboard method for those more comfortable with traditional data entry. ShoWorks covers all areas of a junior livestock auction. We boldly claim that there is no sale configuration that ShoWorks cannot easily handle. Common sale methods include: multiple sales, multiple buyers, multiple commissions, add-ons, re-sales, floors, donations, out-back sales, price by the head or per pound, maximum sale weights, shrinkage, miscellaneous adjustments such as photo fees, custom kill fees, check-off fees and the list goes on. What really sets ShoWorks apart from the rest is the "learning" of your sale, such as "all beef re-sales will be sent to Alpine Meat Company at a price of $0.60/lb". No matter how fast the auction proceeds, the user can easily stay ahead of the auctioneer. ShoWorks includes a plethora of methods to get help when you want it. Aside from the standard printable User Manual within the program, support is offered via toll-free telephone support during business hours, e-mail support during the after-hours, a full range of online support articles updated and available 24/7, optional 24/7 live urgent care telephone support, well indexed 8-hour training videos, webinar and onsite training. Add to this the fact that ShoWorks has a strong following among most fairs in the nation and you have a network of individuals that is unsurpassed by any other fair management solution. When it comes to fair management, there is nothing like ShoWorks - period.